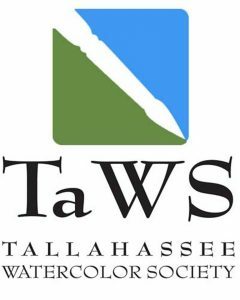 The Tallahassee Watercolor Society is hosting a workshop by Richard Stephens May 1st through 3rd at Tallahassee Community College. Mr. Stephens is a commercial artist and award winning watercolorist with over 35 years of experience. This workshop will emphasize design principals and ways to “lighten up and loosen up” when painting. The workshop is open to non-members as well as members and you can check out his work on his Facebook page or on his website at raswatercolors.com. For information on how to sign up, please go to our website at http://tallahasseewatercolorsociety.com or contact Deborah Morningstar, Workshop Coordinator, at morningstardeborah@gmail.com. If you’ve ignored or denied a long-held desire to write, to fully express yourself—perhaps to share an untold story—then join certified creativity coach, editor, and writer Gina Edwards in the scenic Blue Ridge Mountains to explore and reclaim your dreams of being a writer. Mapping Your Writer’s Journey is a 7-day women’s writing retreat, July 7 to 14, 2019, where you will: — Renew and strengthen your connection to your muse. — Identify and break through limiting beliefs that keep you from calling yourself a writer. — Be heard in a safe, non-judgmental, and supportive environment. — Uncover your “why” for wanting to write. 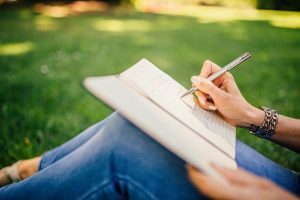 We’ll identify daily rituals to summon your muse and create a plan for a regular writing practice that will support and fulfill you for the rest of your life. We’ll take daily walks as a group, many in silence, so you can hear your inner guidance and refill your creative well. Even after our time together comes to a close, the transformative writing you will do, the relationships you will forge, and the reconnection with your soul will endure and will continue to provide you with creative momentum. 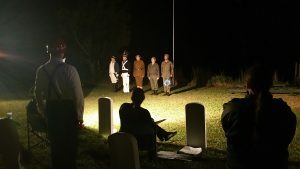 Tuition is $2199 and includes 7 nights lodging, July 7 to 14, 2019, at Highland Lake Cove Retreat and Learning Community in Flat Rock, North Carolina. All breakfasts and suppers, four lunches, and all writing sessions and workshops are included in your tuition. Two lunches will be on-your-own during our planned excursions into the Village of Flat Rock. A $400 deposit holds your spot. The group is limited to 13 participants. All bedrooms are private with a twin bed, writing desk, rocker, and sink. Join us for the Mapping Your Writer’s Journey women’s writing retreat and reclaim your dream of being a writer.